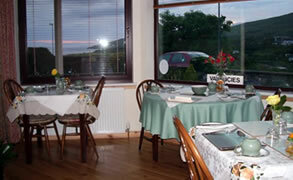 A family run bed and breakfast in Ullapool, Ross-Shire, on the west coast of the Highlands of Scotland. 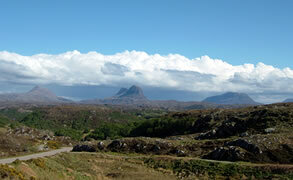 We are ideally placed for people wishing to visit Ullapool and the Highlands, and also on route for those travelling through, either north or south, or across the Minch to Stornoway and the Hebrides. Please take a look around our website to find out more and get in touch if you have any queries. 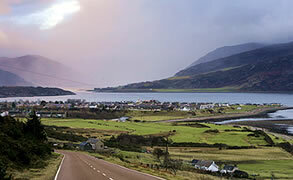 We overlook the river through Ullapool and out to Loch Broom and the Summer Islands, affording some beautiful views and spectacular sunsets. 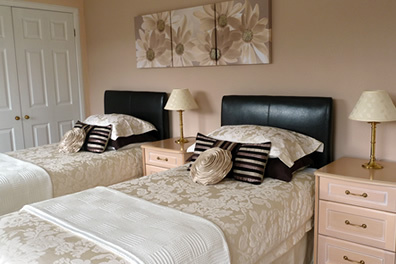 Our position also benefits from being in the central part of the village, within walking distance of many of the village's facilities, attractions, pubs, restaurants, music and arts venues. 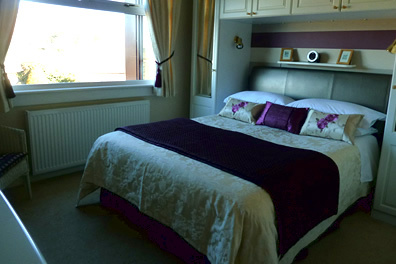 Our facilities offer you clean, comfortable rooms, a dining area looking out over the river and golf course to Loch Broom, and a lounge with reading material for relaxing in an evening. We have wireless broadband for residents. 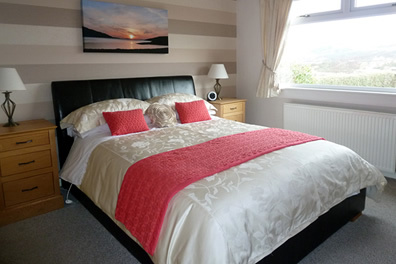 Please take a look around our site for further details about us and what we offer, links to what to do around Ullapool and how to get here, find and contact us. Whether you are passing through the village, working in the area or wanting to explore the Highlands, we will be happy to help.